BBC The Truth about Menopause Wasn’t this a fabulous programme ?! Sadly I find myself in the ‘woman of a certain age’ bracket (surely too young) to be experiencing peri-menopausal symptoms. Despite my therapy brain trying to rationalise and calm, it’s amazing how a drop in Oestrogen can bring out the irrational and emotional self . Thank goodness for programmes like this, and a good GP to chew over the choices. 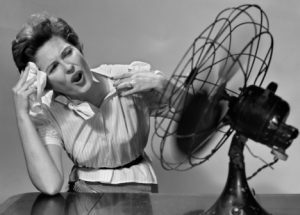 However, Mariella Frostrup has helped to get us talking about the menopause in all its forms, dispel some myths, look at facts and suggest treatments that work. I was pleased to learn that CBT has been trialled at Kings College London and shown to reduce some of the symptoms by changing perceptions such as anxious responses when the flush wave strikes. Physician heal thyself ! I try to be mindful, and try, and try ! Walking along Hove seafront most mornings I’m struck by how many people are either looking at their phone or plugged into their music or having a conversation. I don’t know about you but I’m really bad as multi-tasking. My intention when I might make a call, look at my phone is a way of saving time. However, the truth is I lose valuable time, by missing out on my daily walk, and that space before work with myself and my thoughts. Its only by giving ourselves these spaces, we can tune in and observe, “How do I feel”, “What’s going through my mind” and be present to whatever is going on for us. Sometimes the most difficult thing is to ‘feel the feelings’ and experience the discomfort . Psychologically we get into trouble when we repress, ignore our emotions by distraction, avoidance or using substances, tempting though that is. Being digitally connected is a socially acceptable way of doing this, but we rob ourselves of the here and now, of being present. So, here’s my challenge; make your journey to work, to school, to college gadget free tomorrow, experience the life around you, observe the people , surroundings and your internal world. Notice what happens and accept it. Perfectionism; is Good Enough Good Enough ? A perfect sunset or could it be better? Does that boat on the horizon ruin the experience and spoil the whole thing. Have I failed because this isn’t a perfect photograph? We all like to do well, but if you find yourself rarely satisfied with the result or perceive yourself as having failed despite doing well then you might be a perfectionist. Of course having perfectionist traits often results in high achievement and being the person at work or in the home that can be relied upon to do the job. But if you are never satisfied with the results, or always feel you could have done better then this will impact negatively on your self-esteem. Being perfectionist is also exhausting; all that constant striving!